Title: BOOKED IT. PACKED. IT F**KED OFF! STRICTLY CONFIDENTIAL BUSINESS PROPOSAL RE: TRANSFER OF US$21.5 MILLION (TWENTY ONE MILLION,FIVE HUNDRED THOUSAND US DOLLARS ONLY). First, I must solicit your confidence in this transaction, this is by virtue of its nature as being utterly confidential and top secret. Though I know that a transaction of this magnitude will make any one apprehensive and worried, but I am assuring you that all will be well at the end of the day. We have decided to contact you by e-mail due to the urgency of this transaction. I am a member of the Federal Government of Nigeria Contract Award and Monitoring Committee in the Nigerian National Petroleum Corporatio(NNPC). Sometime ago, a contract was awarded to a foreign firm in NNPC by my Committee. This contract was over invoiced to the tune of US$21.5M. U.S. Dollars. This was done deliberately. The over-invoicing was a deal by my committee to benefit from the project. We now want to transfer this money which is in a suspense Account with NNPC into any Overseas Account which we expect you to provide for us. the course of this transfer, both locally and international expenses. 1. Your Company's Name,Address,Tel.& Fax. Numbers. other companies. More often than not, big trading companies or firms of unrelated fields win major contracts and subcontracts to more specialized firms for execution of such contracts. get the necessary foreign partner to assist us in this deal. Therefore,when the business is successfully concluded we shall through our same connections withdraw all documents used from all the concerned Government Ministries for 100% security. We are ordinary civil servants and we will not want to miss this once in a lifetime opportunity to get rich. We want this money to be transferred to your nominated bank for us, before the present Democratic Government start Auditing all Federal Government owned Parastatals. Please contact me immediately through my alternative email above whether or not you are interested in this deal. If you are not,it will enable me scout for another foreign partner to carry out this deal. But where you are interested, send the required documents aforementioned herein through my above my alternative email, as time is of the essence in this business. Your letter came as quite a shock I must say! Anyway, I digress. Your letter is very welcome at this stressful time, and I cannot doubt that the amount you are offering would be of great help to my company. Don't get me wrong, we do have a lot of spare cash for investment in new packaging machines, but I am hesitating on spending it until Stan is back at work with me. As I write, I have £32,750 stashed away in my desk (I don't need to tell you how to avoid the taxman I'm sure!) but of course, a 30% share of $21.5 million would go a along way to making things easier as my 'habit' takes up quite a lot of my spare cash. So, to cut to the chase, I would be very interested in your proposition, but of course I would require more proof that your intentions are honourable. Of course I would like to keep this business deal as secret as possible. I would prefer it if Stan were not made aware of these emails as he is a very suspicious person (and I suspect a homosexual to boot). Thank you very much for your mail and I am sorry that I have not responded to your mail as I was suppose to do,it has been due to work pressure,but everything is alright as it is. 1. Your Company's Name,Address,Tel.&amp; Fax Numbers. The above information would be used to make formal applications as a matter of procedure for the release of the money into your nominated bank account. It does not matter whether or not your company does contract projects of this nature described here,we have taken all the necesary steps to successfully conclude this transaction,so we will need your assistance as the foriegn firm that executed this contract in order for the fund to be transferred to your account. I want you to know that in my country,it is never allowed for civil servants to have such huge amount of money in our account because the government monitores all monitoring transaction in our account,that is why I need you to please help us because we might never have such an opportunity again. I want you to provide all these informations I have requested for so that we can start the registration of your company as the original company that executed the contract in Nigeria and then we will contact the Federal Ministry of Finance to seek for the approval of the contract sum payment into the account you will provide. Bear in mind that this transaction will be concluded within the next 8 working days if you will follow all my instructions.I know you might have one or two questions to ask,so do not hesitate to call me the moment you get this mail so we can clearify other vital issues: 234 802 304 4446. This is my personal mobile number and free to call me anytime of the day. I want to reiterate the confidentiality of this transaction and you most not tell anybody what we are doing as even my wife is not aware of this transaction,please do likewise. Great to hear from you. After the delay I was worried that something may have happened to you. Thank God that you are safe. I believe you have a lot of wonderful wild animals in your part of the world? I was worried that you may have been attacked by a Tyrannosaurus or something like that. In a way it is good that you were slightly delayed, as I have been having trouble with my business over the last few days. As you know, my partner Stan is away sick, and Mr. Hardy has kindly agreed to help me out during this difficult period. Unfortunately (or fortunately so for my profits!) I have received many orders for our products. Your initial letter reached me at one of my company's busiest periods. Yesterday I had to contact Morecambe & Wise Ltd, a local firm which provides temporary workers. I have had to hire in two more employees to cover our busy period, which I expect to last for the next 6-8 weeks. Today my two helpers arrived, and it just so happens that they are brother and sister! One was a delightful young lady by the name of Marie, and her brother is very efficient man by the name of Donny. Donny & Marie seem to have fitted in very well with our company. I have a sneaking suspicion Marie wants me to give her more than just a wage packet, if you know what I mean! Sorry to go into so much detail, but with our impending partnership I want you to be sure that I am very capable of completing this deal. Anyway, back to the matter in hand. Your email has been read and understood, but you seem to have neglected to provide me some proof that your intentions are indeed honourable. Here in my part of the country, we like to come face to face with people who we are having serious business dealings with (and most of the time have a good booze-up). Are you able to fly over here to the UK to meet with me sweetie? I am able to fly out to you, but to my great sadness this will not be possible for some time yet as my business needs me here and now. I would very much like to see the face of the person I am dealing with, and it would also set my mind at ease that I am dealing with an honourable man. 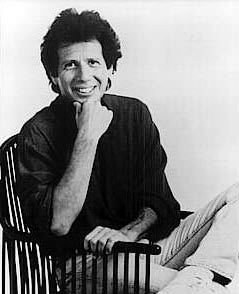 Would it be possible for you to email me a photograph of yourself? I will be happy to send you my picture as I of course understand that trust works both ways. Your acceptance of my terms will go a long way to ensure our business dealing will be a happy one. I am hoping that my business commitments will be over within a week or so, and at that time I will be free to either greet you in my country, or perhaps maybe I can fly out and meet with you at a location we are both agreeable to. Pardon my ignorance (my geography is not too good) but is Nigeria anywhere near Disneyland? If it is, that would be great. I've always wanted to meet Pluto. I have to go now my friend, my wife Britney has come to visit me at work and I have promised to take her for a meal at her favourite restaurant, Meet 'n' 2Veg. Thank you for your mail and I do sympathise with you or I am happy that things are going on well with your business,undermining the fact that your partner,Mr.Stan is away sick and cannot be there to help. I quite agree with you that,it is a good idea to know whom we are dealing with and I had it in mind that after you provide me with the information I requested for then I will make my international passport available to you and I will like you to do the same. 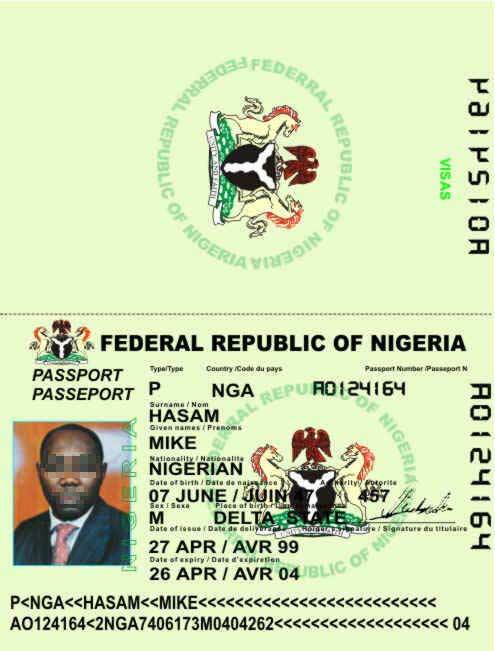 I am now sending you a copy of my international passport for you to know me and please when responding to this mail,kindly provide the information I initially requested for and a copy of your international passport/driving liscence. You know that it is very important that we keep up with the time frame,so send the information over for me to register your company as the original contractor and subsequent beneficiary of the contract sum.We have to register your company this week and obtain the Cetificate of incorporation so by next week we can have the necesary Approvals from the different ministry approving the release of the funds into your account. Please for further correspondence contact me by email through this email box:[email protected] for security reason.I want you to call me on my personal telephone number:234 802 304 4446, so we can discuss more on this matter. the identity of the innocent man who's identity has been stolen on the photograph. Bless you for replying so soon, and thank you for your letter. Thank you for your concerns about my good friend Stan. I am sure that he would thank you for your thoughts. Of course, due to the secrecy of our upcoming deal, I will not mention any of this to him until long after our (hopefully) successful partnership has been completed. I think that Mr. Hardy suspects that I am up to something, but I set his mind at ease by purchasing him a bag of donuts. I am sad to say that the photograph you sent to me I cannot accept as evidence of proof that the person on the photograph is indeed you Mr. Hasam. I am sorry that I am being so careful, but I hope you will understand that the amount of money that may be exchanging hands is so great that I have to proceed very carefully. It disturbs me that to my untrained eye, the passport does not look to be genuine. I could of course be mistaken, as I do not have experience of passports other than my own UK one. Of course, I understand that this deal needs to be completed with the greatest urgency, but I am hoping a good man such as yourself will understand my need to be secure that I am indeed dealing with an honourable person (which I am sure that you are). However, I must propose that you send me a photograph of yourself showing some proof that the image upon it is indeed your good self. One other problem, my good friend. As you will have noted in my previous emails, because of sickness, I have had to hire extra people to help with my workload. This means that my position as overall manager is vitally needed at this time. Most of my spare time at the moment is spent training my newly hired staff. I am afraid that I will be unavailable to make any trips or meetings for quite some time now. However, all is not lost. I have an associate who resides in Kenya (in the Westland's area of Nairobi to be precise). He is a very good and trustworthy man, and I for one would trust him with my life. He is in fact my brother-in-law. Although not English like myself (he originally comes Bintulu, which is a town in Sarawak, Borneo). His name is Mi. E. Shun, [readers will see the full meaning of this name very shortly] but our family call him Massat, as this is his family nickname. Anyway, I have not spoken to him, but I know it will be a very easy matter to have him fly over to meet with you, after all, Kenya is very close to your location as you well know, I realise this now of course. After checking my atlas, I see Nigeria is nowhere near Disneyland, sadly. Mi. E. Shun works for our associate company Searchlight Systems. This company manufactures industrial lighting equipment ranging from small battery powered light bulbs, to extremely large 100,000 watt lighthouse lamps [note that the significance of the word lighthouse will become important later on]. I know that for the next 4 weeks he is not at work, so Mi Shun would be an ideal candidate to conduct this deal. If you are agreeable to this, please let me know ASAP and I will telephone my brother-in-law to get him to make flight/hotel arrangements. Once I have your approval that Mr. Shun is acceptable to you, I will make some suggestion on what type of photograph you may send to ease my mind that you are the honourable man that I am sure you are. I will need to show Mi Shun so that he may recognise you if and when he meets with you at the airport. You did not go into too much detail about your own involvement in this deal Mr. Hasam, but can I presume that you will need a handling fee for this transaction? If that is the case, please let me know the approximate amount, and should you accept Mi Shun as my personal representative, I will make sure he is given any processing funds you require. I only need less than 24 hours notice to transfer almost any amount over to him. If you do not know what the processing fee may be, please do not worry as I can forward any extra amount to Mr. Shun with just a few hours notice. 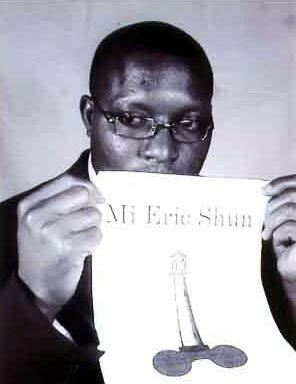 I beg of you to accept Mi Shun as my representative. As I said before, he is extremely trustworthy and I can personally guarantee that he will mention this deal to absolutely no one. I am very grateful for your help in this matter, and it is only fair that you a reimbursed for your time and trouble. That is all for now Mr. Hasam. Please find attached my company photograph as you requested. Thank you for your prompt response to my last mail and all the content of what you wrote I fully understand. I am married with four kids;three boys and a girl,she is the apple of my eye. I have been working with the Nigerian National Petroleum Corporation(NNPC) for 34 years and I will be on ritirement by next year and since this opportunity came up,I believe it is an opportunity to realise my dream of having and living a comfortable life that I have always wanted to for myself and family. I am from large family of seven boys and girls.I struggled hard to be whom I am today by doing manual work in order to be able to go to school and eventually get a job in NNPC. But at the end of it all,the salary is not something to talk about because for all my hard years of labour I cannot still boast of a buoyant account,niether do I feel secure about retirement. I guess in your country it will definitely be a different story as workers welfare will be well taking care of and when they are finanlly put-off,they will have something to fall back on. I do not really know what you want to know about me but do not fail to ask me anything you believe you want to know. As regards this transaction,you know I cannot proceed without registering your company as the original company that executed the contract and I still do not have these informations with me,please send them so that I will be able to back-date the date of registration when registering your company with Corporate Affairs Commission and procure the letter of incorporation and have them faxed to you (I know somebody there who will help me with this). It is very important that we have to consider time in this transaction,so that within a time frame we can conclude this business.I have told you before that this business will be concluded in 8 working days,but we have not even started at all. As regards your representative Mi. E. Shun,let us first of all register your company and when if it is necesary for him to come down here to sign any documents on your behalf we will inform you.I will advice you not to inform him for now,as it might be easier to secure the service of an attorney to help with all the paperwork which makes it easier and convenient,or what do you think. I do not know how much will be involve for now but if there are any bills to be paid you will be made aware of it when we encounter any and both parties will bear the responsibilty of any charges. I want to let you know that it is very important for you to send the informations over so I can submit them to the Corporate Affairs Commission for processing,By early next week,we should have the certificate of incorporation ready. Thank you for your understanding and cooperation so far,and I am very happy to have met someone like you. Hope things are going well in your company and how is the new division of your company doing,hope well? I look forward to your quick response and the informations I requested for. Thank you for your reply, and I am indeed grateful for your help so far. I have to say that I am sad that we will now not be able to proceed for the following reasons. Until you accept Mr. Mi. E. Shun as my representative and also provide the proof of your identity that I seek I am not willing to proceed any further. Only this evening I have received another offer similar to yours, and the gentlemen (Mr. Imbatoo) seems very co-operative. He has also offered a greater share of some offshore funds. However, I am an honourable man myself, and I would like to give you the chance to prove yourself to me before I consider Mr. Imbatoo's offer. 1. I want you to accept Mr. Mi E. Shun as my representative. It will be impossible for me to have time to conduct these proceedings myself, but I am happy to submit any processing funds either to Mr. Mi E. Shun to give to you, or directly to your bank/representative. 2. Once you have accepted this, I would like you to email to me a photograph of yourself holding some kind of proof that the man I am writing to (who I hope is noble man?) is the man on the photograph. As Mr. Shun will be my representative, perhaps a photograph of you holding Mr. Shun's company logo would give me the best proof? I can contact Mr. Mi. E. Shun and have a satisfactory logo sent to you so that you may be able to print it out. To see your photograph holding my good friends company logo will of course set my mind at ease that you are an honourable man, and we can then proceed immediately with your plan. Please note that Mr. Mi. 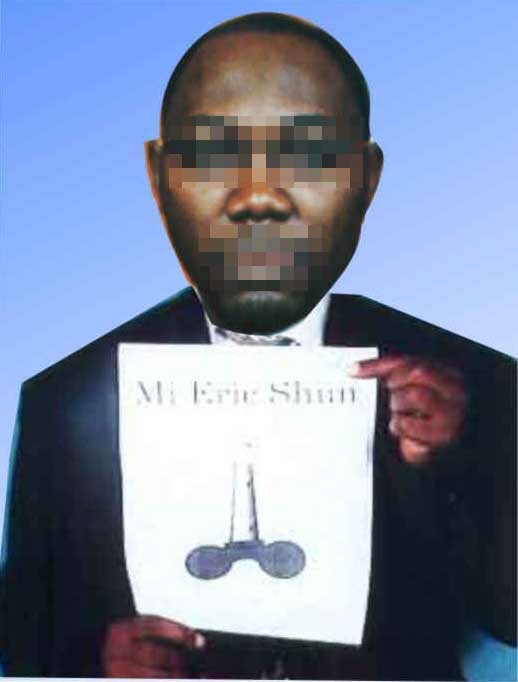 E. Shun is my brother-in-law (he married my eldest sister) and he can be 100% trusted to mention NOTHING to NO ONE. I am afraid that until my mind is settled on these matters I am not prepared to proceed any further, and I may seek out the help of the other gentleman, Mr. Imbatoo instead. I hope as a experienced businessman yourself that you will understand my need for such proof. I am certain that you are a genuine person Mr. Hasam, but until you are able to provide such proof as is required then the deal will not go ahead I am very sorry to say. Please let me know if you accept Mr. Mi. E. Shun as my representative. Also, please note that time is now VERY important, as I will be travelling to another part of my country next week (I am doing a tour of the Jam Butty mines in Liverpool), and will not be able to contact you again until I return, hopefully with a good selection of Jam Butties. I urge your swift acceptance of these terms, then once I have the proof I require I will be very happy to follow your instructions quickly and to a successful conclusion. I have to go now, Mr. Hardy is hungry. 1.I will accept Mr. Mi. E. Shun as your representative on the ground that all decisions taken between myself and him should be dailogued with you first before any conclusion is arrived at,I believe you understand that I know a little about you than him. 2.I have not only sent a photograph of myself but with some of my colleagues,so that you will know whom you are dealing with.I hope this will be satisfactory with you. 3.As regards to the percentage ratio you made mention of in connection to the other business proposal you received from one Mr.Imbatoo,you will realise that I am not the only one in this transaction and I cannot take decision on my own.I will appreciate if you can send my the business proposal that Mr.Imbatoo sent to you. Finally I have found out all the necesary requirements in registering your company with Corporate Affairs Commission and the back-dating of the date of registration of your company and the total cost is $13,243 (thirteen thousand,two hundred and forty three dollars).I am waiting for you to send your information over so that I can register it. I want you to know that I have so much trust in you and I will not like you to let me down at all and moreover time is not on ourside as you said,that you will not be in town as from next week,so it will be wise to start the processing today so that by Tuesday of next week the Certificate of Incorporation will be out in order for us to get the Approvals from other departments/Ministries. Thank you and God bless you for your understanding and trust. Mr. Hasam's second picture. 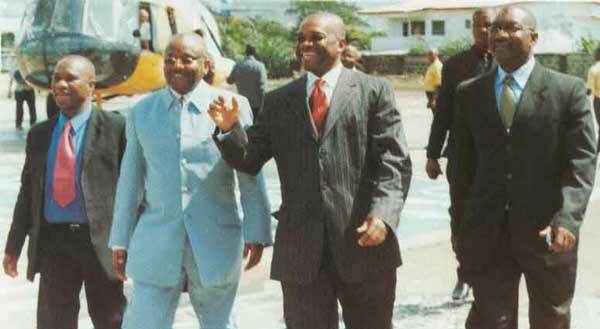 Is this a scene from the Nigerian version of Reservoir Dogs?! It is indeed an honour to hear from you again, thank you. Your letter is very welcome. I am now getting extremely busy at work, and it looks like this year is going to be very profitable for me. Also, Marie is taking me out to dinner tonight, so I think I'm onto a winner there as well! You will be glad to hear that Mr. Stan Laurel is now well and back at work. Both himself and Mr. Hardy seem to be getting on very well, so well in fact that I may keep Mr. Hardy on full time. I may get Laurel & Hardy to work together for all my future projects. I accept your proposal that I will be the sole representative between myself, your good self and Mr. Mi. E. Shun. I will deal personally with each communication. I understand of course that you know little about him (as I do about you), but I can assure you of his honestly. He is a good Christian young man. Although his age is only 27, he has a very efficient manner, and you can be assured he will do absolutely nothing without my strict permission, for fear of a damn good thrashing (again). Thank you once again for sending me your photograph, but I am afraid you have misunderstood me. Of course, these mistakes are very easy to make. I understand that English may not be your best language, so I will explain a little more clearly. To prove to me that you are indeed Mr. M. Hasam, I have attached my good friend Mr. Mi. E. Shun's company logo, along with his name written across the top. If you can supply me a CLEAR photograph of yourself holding this logo, then this will of course prove to me 100% that you the man in the photograph is indeed Mr. Hasam. Please be sure to make the picture of yourself very clear so as to rule out any possibility of forgery. Please find the image attached to this email. I would advise that you print it out to a large size so as to make it clear on the photograph when you are holding it. Once I have a received satisfactory photograph from you, I will be very happy to proceed with your instructions immediately, and there will be no further delays. I have all the paperwork you require here with me now, and I am sure this can be sent to you and processed within 24 hours of your providing me with a satisfactory photograph. Thank you for getting the registrations documents ready for me. The fee of $13,243 seems fair for this process (administration fees in the UK are extremely expensive!). Are you sure that this amount will be enough? It does not matter anyway, as I can very easily arrange any extra payments should it become necessary. My good friend it is really good to get your response so fast and I am happy for it. I will do as you have said,but the problem now is that I will make the photograph ready by on Monday because I cannot scan the picture today.We have closed for the day,but if I am able to get somewhere I can do it by tomorrow,be assured I will make it available to you. God bless you and have a nice weekend. You honour me with such co-operation. God bless you and your gonads for helping me so much. I will of course look forward to hearing from you very soon. I have the necessary paperwork all ready to send to you as soon as your photograph is received. Please pardon me for making this email so short. Marie is waiting for me in the car, and damn, she looks hot. This is the pic of my colleague and the logo of your in-law. BENEF: SUPREME ELECTRONICS PTE LTD. Please provide me with the information slip once you have made the payment so I will be able to use the fund for the registration of your company. I hope to hear from you soon enough. God bless your little cotton socks for sending me the image that I requested. It is good to see that there are still some honest people left in this evil world today. I am now happy to say that any barriers preventing this deal from going ahead have been removed by your co-operation, and we can finally resume proper negotiations in a precise and urgent manner. Regarding the banking information you have sent; I feel that the importance of this deal requires that payment is made in person, and to this effect I am going to make arrangements to fly over to meet with you. I am sure that this news will make you joyful. I AM SO EXCITED! I have a contact in the UK government who is able to rush thorough a Visa for me, so once this arrives I will forward you my flight details. One other thing Mr. Hasam, and I hope you will forgive me; I have attached a scan from Packaging News Monthly magazine. This magazine is produced solely for people in the packaging industry. Two weeks ago I was awarded a very big contract with the UK division of the RSPCA. Unfortunately, due to the secrecy I was sworn to by the RSPCA, I was unable to tell anyone of the negotiations until the deal was finalised. I was featured in the August issue of Packaging Monthly, and now I am able to share the news of my good fortune with all my friends. I'll get back to you with my flight details as soon as my Visa comes through. I have had time to consider your last email and picture, and I have to say that I am not happy. If you remember, I explicitly asked that the image be large and clear. The very poor offering you have sent to me is most disappointing, and I must insist that you arrange for a more detailed an larger image to be forwarded on to me. I am afraid that until my demands are satisfied, the deal will not go ahead, and I will pursue Mr. Imbatoo's fine offer. Ya hear me fella? I received your mail and it was not what I expected to hear from you that I saw,knowing full well the time constraint I made mention of my first mail to you.It is very imperative that we conclude this transaction as soon as possible. Furthermore,you mentioned that the picture I sent was not big enough,you should realise that this a third world country and it is not every organisation that has the facility you are talking about.I have sent you different pictures of myself and colleague and you are not satisfied,this does not determine the success of this business as we have taken every step of it into consideration,but what you are requesting for should be from us as we are the one remitting the funds into your account and you stand to gain a lot from us. How could you be talking about our not being serious about this transaction,were we not the one who contacted you and shouldn't it be for us to decide if you are serious about this business? You should note that this fund will be transferred into the account you will nominate for this fund and we agreed on this, base on the fact that we want you to know how serious we are about finalising this deal. Conclusively,we are going round in circle,we believe that it will be far better to discuss this busines busines through the telephone,so you can hear whom you are dealing with,don't you think it will prove to us how serious you are? Callme through my personal line:234 802 304 4446. I will be expecting your call and I want you to also provide me with your telephone number,in order for me or my colleague to speak with you also. We are waisting time over what will not make this transaction succesful,we are men and should behave like one. Let us round this thing up as soon as possible. I still have trust in you and I believe we can conclude this thing amicably. Thank you for your quick response. YOU are expecting ME to give you $13,243 WITHOUT satisfying my normal business need for you to prove yourself to me one small thing? This is bad business in my eyes, and you must understand that although $13,243 is not a lot to me, it is a significant amount and I expect my business partners to put in the same effort as I will be doing. You should have the facilities to make the picture I require. In your first email to me you stated you were a "member of the Federal Government of Nigeria Contract Award and Monitoring Committee in the Nigerian National Petroleum Corporatio(NNPC)". A huge company such as that should easily have access to such facilities. If you do not, then I think that you may not be the person I want to deal with. This is my final email to you sir. Unless I get the photograph that I requested, then I am sad to say that our business deal will not go ahead. If you cannot send me the picture I request then please do not bother to contact to me again. If I do not receive a satisfactory picture by tomorrow evening, then I will proceed with Mr. Imbatoo's offer. He has already told me that he will produce any photographic evidence that I require WITHOUT any delay. Note that THIS DEAL WILL NOT HAPPEN unless I receive your good faith gesture of the picture that I require. No further arguments, END OF STORY. I am sorry to be so insistent, but imagine if it was me that wanted you to send me $13,243 without proof of who you are. I do not think you would be so happy to do it. i got your mail and the content well understood, i want you to know that you investing the money is not the issue the issue is that we must work on trust in this transaction. i will get you all you have demanded for but let me also bring to your notice that this transaction is of mutual benefit, so i will need you to send me Your phone and fax number so that i can be sure that you are serious in this transaction. about the registration of the company, i want you to know that i will handle the payment myself and if there is any other thing i need to do i will also do it personally . all what i need from you is trust just. i want you to call me so that we can discuss before i can send you the documents demanded of you. i am doing this because i have to protect myself going by the position i am in the country. I am sorry, but you seem intent on delaying me, and not supplying the information I require. This is arousing my suspicions. Therefore I think that it is only fair to end this deal here now. Please note that unless I receive the image I want, I will sadly have to ignore any future emails from yourself. Please do not email me again unless it is to send me the image I require. I shall now contact Mr. Imbatoo and start negotiations with him. I hope you are able to find another partner to help you and I wish you good luck in your venture. i received your mail almost the very time i e-mail you , please i have to be very honest with you that i had a sleepless night because of what you siad and that of my colleague who is behaving very funny for quite some time now. the reason why you have not receive exactly what you want was from his end he has been so seek and for we not to loose you who is trying to assist us i personnaly have to go out of my way today to make sure i satisfy your mind which i have already attach with this mail for you to see.i could not make it full because of your company logo. i tried it but it was not clear hence this type i now attach. as regard the very mail you received which is similar to our own transaction i so much beleive you hence i have to give you my word of advise that this might be services of a propangada from our government here , whereby they employ the services of secret police to seek for the help of foreigners like you to help them transfer such big amount of money and the end of it you will get your fingers burnt for the transaction to look fake.the use this method to know who conived with nigeria civil servant in such transfer because this business has become very rampant here. i introduced into this transactiuon and i have to be very very honest with you as i will not want anything that will make you to swim in a trouble waters.you are my friend and we have come a long way and i have disclose to you viable business that will benefit all in ultmost confidence we bestowed in you. we intend to follow this transaction legitimately till we conclude and the delay was from our end as you are ready to assist moraly, financially and phisically till end. please try to still maintain a high level of confidentiality there by you protecting our interest because of my position that i am currently occupying likewise us to you protecting you / company . we assured you once more that if you see reason with us now in your next mail hopefully by next week we will be rounding up this transaction whereby the fund should be on transfer to your nominated account you need send which we will file in with the application along with. once more i apologised and you shoiuld not fill as if you are a fool (NO)we so much count on you as we look forwad in concluding this transaction with .less i forget todays our goverment has authorised all ministry to pay all foreign contractors their debt please we want to use this oppurtunity to include your company name so please endeavour to act fast .YOU ARE LIKE A RAY OF LIGHT AT THE END OF A DARK TURNNEL TO US IN AS FAR AS THIS TRANSACTION IS CONCERN.it will be very difficult to see a honest man of your type and we cannot affort to miss you as we look forward to invest under your canopy. looking forward to here from you now. [Mr. Hasam attaches a corker of a picture this time. God only knows why he thinks this would fool anyone. Do you take me for a FOOL? I sadly think that you do. The image you have sent to me today has been FORGED! Yes, FORGED! I do not know who the unfortunate person is whose body you have used, but you have simply cut your head off the passport photograph and pasted it into another image! I am insulted that you have tried to trick me this way. It is obvious to me that you have no serious intentions. I wish you well in your future venture, but I cannot continue this procedure unless you are willing to do the small thing I ask IN RETURN FOR MY $13,243. Please Sir, do not waste my time. I am a serious businessman, running a large and busy establishment. I handle over £200,000 of business every week. I am a VERY busy man and cannot afford to have my time wasted by AMATEURS. The next email I receive from you had better be a GENUINE image. I warn you Mr. Hasam; my patience is now AT AN END. for my children, so i can be a father they can be proud of. mr steven, it is with a very heavy and sober heart that i will have to confess to you that the allegations in your email are perfectly true, but not without a reason, in my position with the nigerian national petroleum corporation, i have put in thirty four years, with one year left for me to retire, and i feel as if my whole life is almost wasted if i cannot conclude this transaction before leaving office. mr steven in as much as i wanted to conclude this transaction in a hurry, i do not intend to do anything to jeopardise my career and my current position in office, which is a political one, and quite sensitive, hence my carefulness in treading so i dont lose my gratuity and retirement benefits, hence the fear in not sending my exact picture, because of what i enumerated in my previous mail as regards the secret police. i still intended to send you my full pictures including my family pictures as we go on after we have both won each others trust. mr steven, the issue that is most important is not the money you intend sending to facilitate this transaction, because you already have some doubts in your mind. alternatively i would start making arrangements to sell my gas station in other to raise the money so we can move ahead withou any further delay. at the end of this transaction when i finally meet with you in your country in company of my family, you will know i am a man of integrity who is also afraid to take a wrong step. i need a foreign partner but i have to be careful at my end also, not to jeopardise everything i have been working for. mr steven, i have given you my numbers several times you dont call me, and you have refused to give me yours, this scares me, but with my faith in God and my believe in this transaction i will not fail. please send me your numbers so i can talk with you and let you know the way things are. You can call me on my new number: +234-1-7762874. please i have disregarded the previous number i gave you due to my fears arising on matters arising. My name is NOT Mike Stevens. I do not own or run a company called Sycone Systems. There is no such company. I do not have a wife called Britney (sadly!). From your very first letter I knew you were a Nigerian "419" scam artist, trying to con me out of money. Mi. Eric Shun does not exist either. In fact, try saying the name out loud quickly. Doesn't it sound like "My erection"? Also, the company logo. Look closely. I think you will find it quite resembles a rather private part of your anatomy, don't you think? I have been wasting your time, simply to annoy you and hopefully keep you away from some potential victims. I sent you an image to print out and hold up, JUST to make you look like a complete idioy to all the people who will soon be seeing your picture. Your stupid scam (and your stupid face) will soon be appearing on a web site where thousands of people will be able to read all the letters and see all the stupid pictures that you sent to me. You are just a VERY BAD 419 scammer who is very easily tricked. Goodbye for now Mr. Hasam, but beware when you send out more of your scam emails; there are plenty of good people like me, ready to make you look like a fool.